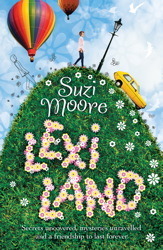 On the blog today, I am happy to have Suzie Moore, the lovely debut author of Lexiland, which I will be reviewing this afternoon. 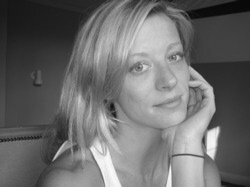 I spent a great deal of time thinking about where to set my first novel and after a trip back to Bristol to visit friends I knew that is had to be set in a city I had lived in for years and still loved. Whilst I had lived all over Bristol I decided that my main character should live almost exactly where I first lived when I moved there aged 20. After that it felt as though I spent a great deal of my time mentally wandering around the town. I now live on Exmoor where the moor meets the sea and despite looking out of my office window to moorland views I felt very much as though I was back in Bristol every day, which was just fine by me. 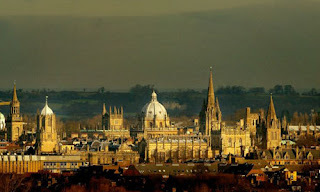 In the story Eddie is taken to visit her Grandfather and without thinking or knowing how I had written the word Oxford. In fact I carried on writing those chapters without really coming up for air, if that makes sense. Only after wards when I was reading though the rough words did I know why. Earlier that year I spent some time in Oxford visiting friends. I liked it so much I decided to stay a while longer. I rented a little studio flat in Jericho and took my work with me. I was supposed to do a great deal of writing there but I didn’t. I read a lot of books but I didn’t write a single thing! Instead I got to know Oxford, my moorland runs were replaced with sprints down the canal or dodging the various bikes in town and when I was ready to write again I came home. Oxford and its beautiful buildings came with me particularly the houseboats I had seen on the canal.